"Navin and his classmates journey to Lucien, a city ravaged by war and plagued by mysterious creatures, where they search for a beacon essential to their fight against the Elf King. Meanwhile, Emily heads back into the Void with Max, one of the Elf King&apos;s loyal followers, where she learns his darkest secrets. The stakes, for both Emily and Navin, are higher than ever" -- from publisher&apos;s web site. 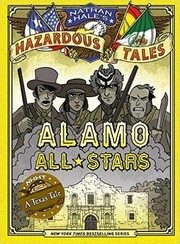 Emily, Navin and their crew of resistance fighters charter an airship and set off in search of the lost city of Cielis. there they hope to find held from the Guardian Council&apos;s powerful Stonekeepers. It&apos;s a mission that Alledia&apos;s survival depends on, and time is running out -- Emily&apos;s got to find Cielis before the Elf King finds her. 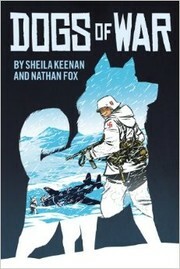 Apollo and Brownie are unaware that the apocalypse is at hand, so when their owners don&apos;t return and they run out of food and water, the dogs venture into the world, where they team up with a police dog, a flea that quotes Sun Tzu&apos;s The art of war, and others in an attempt to survive. Provides step-by-step instructions on drawing the cover of a graphic novel or comic, and teasing the story through illustration. 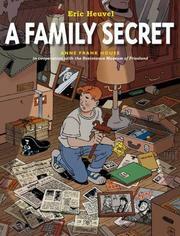 While searching his Dutch grandmother&apos;s attic for yard sale items, Jeroen finds a scrapbook which leads Gran to tell of her experiences as a girl living in Amsterdam during the Holocaust, when her father was a Nazi sympathizer and Esther, her Jewish best friend, disappeared. Visiting an island that lets them access lost memories, Emily, Trellis, and Vigo try to uncover the events of Trellis&apos;s mysterious childhood, knowledge they can use against the Elf King, but they discover a dark secret that changes everything. Napoli, Donna Jo, 1948-, author. "Fish Girl, a young mermaid living in a boardwalk aquarium, has never interacted with anyone beyond the walls of her tank until a chance encounter with an ordinary girl, Livia. Their growing friendship inspires Fish Girl&apos;s longing for freedom, independence, and a life beyond the aquarium tank"-- Provided by publisher. After the attack on Pearl Harbor in 1941, a thirteen-year-old California boy who is half Japanese is sent to an internment camp. Story based on the history of the author&apos;s great-aunt. 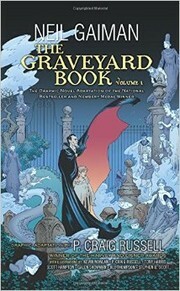 The first volume of a two-volume graphic novel adaptation of Neil Gaiman&apos;s The graveyard book, in which the orphan Bod, short for Nobody, is taken in by the inhabitants of a graveyard as a child of eighteen months and raised lovingly and carefully by the community of ghosts and otherworldly creatures. But Bod must remain in the graveyard, for leaving it could mean his death at the hands of a man named Jack--the man who murdered Bod&apos;s family. Two abandoned children come upon a gingerbread cottage inhabited by a cruel witch who wants to eat them.